Sales summits, sales conventions, innovation conferences – whatever the title, whichever the year, the goal is typically the same: motivate, inspire and train a sales force to be the best they can be for themselves and for their companies. I recently had the opportunity to attend our company’s Sales Summit held at Madden’s Resort in Minnesota. 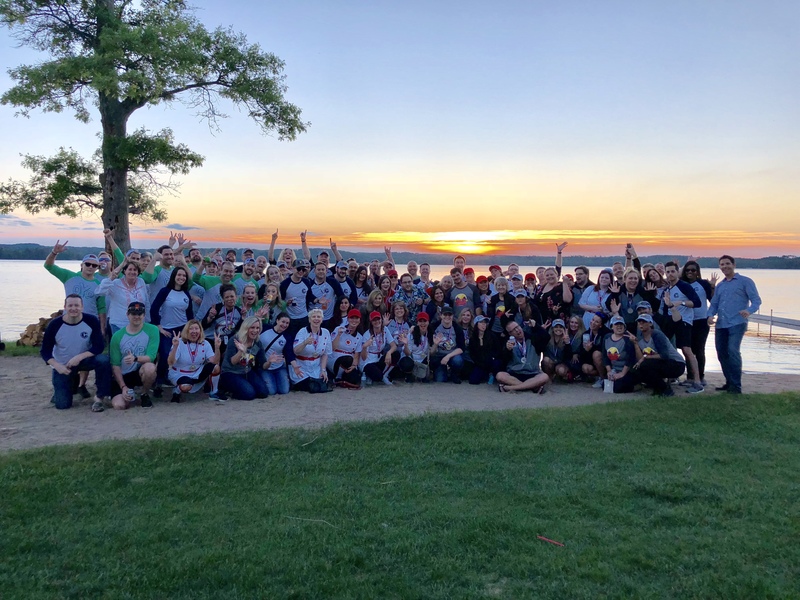 It was my first event of this kind, and I was blown away by the sharing of ideas, camaraderie of the group, desire to learn, and the logistics of how the entire event came together. The extraordinary planning and organization of the event (before, during and after) begs to be shared. 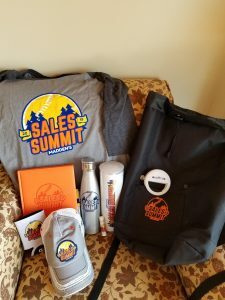 Straight from our successful meeting, here is our checklist of tips to help create your company’s best next Sales Summit! 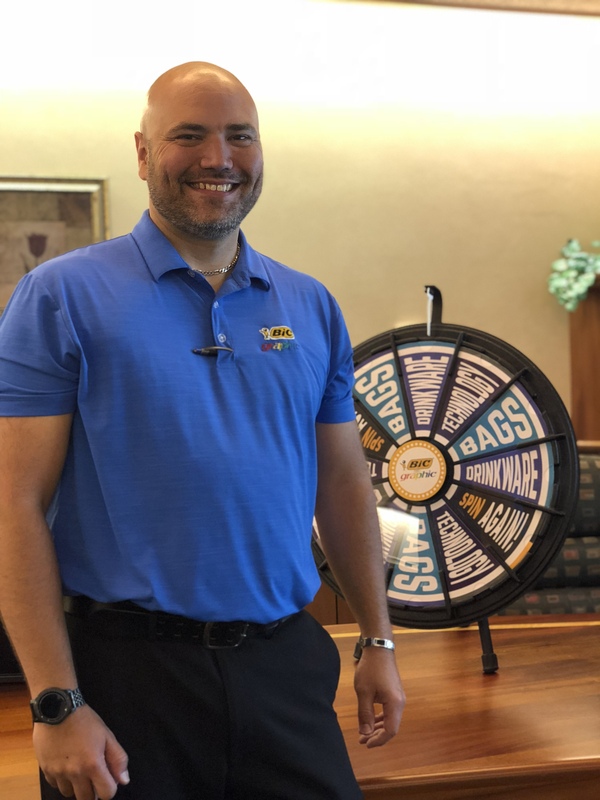 ePromos’ goal was to leave the frontline of our company feeling inspired, confident, valued, and more ready than ever to engage with leads and close sales. We wanted to connect with each attendee personally to bring out his or her strengths and then to recognize those opportunities. When planning your event, think about what that means to you and your organization. What is the culture at your company? How will attendees respond to different approaches? Decide on a clear purpose. Once a theme is set, tie each breakout session, presentation and training to that theme down to the littlest detail. 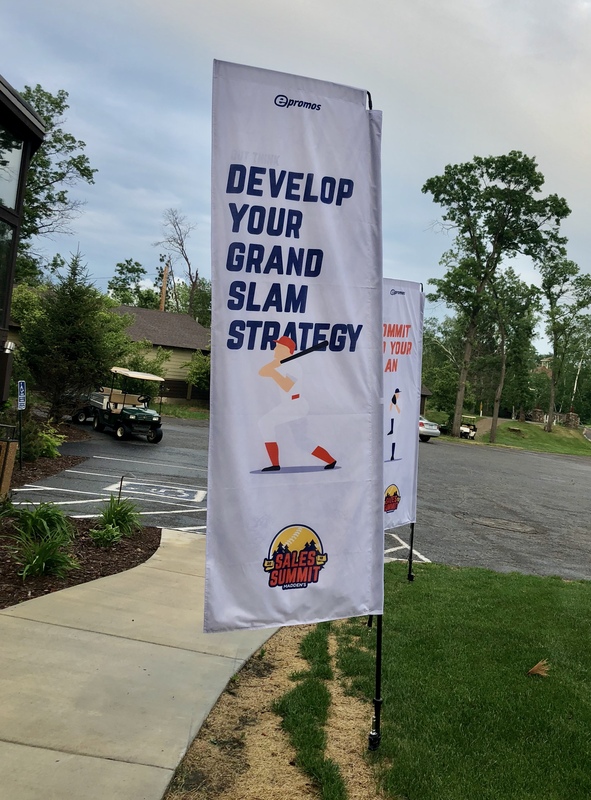 For ePromos, that meant four breakout sessions – each led by a member of the management team – to talk through how to “Out Think,” “Out Play,” “Out Hustle,” and “Out Last.” Agendas were shared so attendees knew what to expect for the upcoming week and how to prepare. Leaders, don’t forget to prepare ahead of time, and think about ways to motivate the team with your presentation. These six great tips for inspiring and influencing staff can help with that. Think about what you’ve set your goal to be and how you can get attendees into that mindset beforehand. 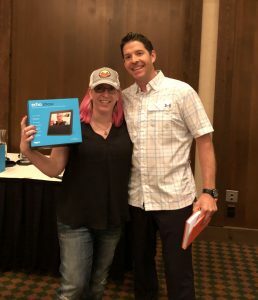 Nick Kiefer, our VP of Sales, is a huge proponent of the book, The Accidental Salesperson by Chris Lytle because it talks about how to take control of your individual sales career and earn the respect and income you deserve, which was the perfect tie-in to our goal for the summit. A copy of the book was sent to each sales employee a month ahead of the conference. Attendees were expected to read the book in its entirety prior to their arrival and be able to speak to how the book personally connected to them. Our marketing team did a great job working with our partners to promote the summit. It’s always helpful (especially at a big event and/or in a large facility) to have signage to welcome attendees, direct them to different areas, and (of course) re-enforce the theme of the event. At the ePromos Sales Summit, there were four outdoor flags (one to tie in each discipline) and many indoor displays that were placed outside conference rooms or breakout sessions. When planning a sales conference, opening the event with a credible speaker sets the tone for the week and gets attendees inspired to learn. Karim Ellis, a dynamic motivational speaker for 10 years, has spent time with companies such as Honda and General Electric. He focused his presentation on seven unique principles that allow high-performance players to put goals, dreams, hopes and agendas in checkmate during game time (again, tying into the theme of the event was key here). The presentation was a hit; Karim’s high energy filled the room with excited, eager-to-learn attendees. Allow everyone to get to know each other by playing games. Play Pictionary®, host karaoke or create Olympic teams for an epic scavenger hunt around the property. Give attendees the opportunity to let loose and have fun. Throughout each day and night as well as before and after each breakout session, recap key learnings and illustrate how they align with your company goals. For ePromos, this meant encouraging attendees to engage in sessions by choosing Top MVPs at the end. A little friendly competition never hurt anyone! 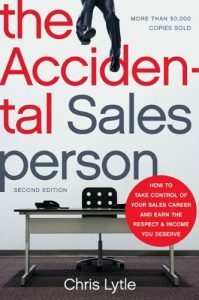 It meant tying in with the book, The Accidental Salesperson on how to take “your game” to a new level. Remember, a sales kickoff meeting success relies solely on the energy it exudes and the content it covers. Joey, one of our partners from BIC® engages the group by playing games where attendees could win prizes. If attendees can learn from suppliers, dedicate time to bringing them in for some one-on-one conversations. Consider an afternoon of “speed dating” when groups can go from partner to partner. Inform the partners ahead of time of the theme of the event and encourage them to connect their participation to the theme as much as they can. At ePromos, the Sales Summit logo was sent to our partners, and many of them used it to showcase new and exciting products our team can offer to our clients in different and interesting ways. Encouraging the group to get to know each other in a relaxed and agenda-free atmosphere (especially at night) should always be a priority at this type of event. Consider choosing a venue that offers everything on-campus or near the event so the group has a place to go and mingle that is hassle-free to get there. Madden’s was a great summer choice for ePromos because it was on a lake (which makes for outdoor barbecues, beautiful sunsets, and bonfires), had a bar on the property (which was used for karaoke the first night and frequented by many after hours), and had large dining halls and event spaces in close proximity to one another. Work hard by day; play hard by night! ePromos team enjoying the sunset at Maddens Resort after a team-building scavenger hunt around the property. Every event has those few special people who shine. Whether it’s because they participate in the most activities or lead the group to engage in interesting conversations, they help to create a positive learning environment for the duration of the week. Consider recognizing these stars and thanking them for their efforts by giving them a gift. Following up after the event is just as important as planning the event itself. Encourage the leader of the summit to send out a recap of key learnings shortly after the event has ended. Unfortunately, research has shown that more than 80% of the information reps take in during a sales meeting will be forgotten within weeks, if not days. Set up touch-base meetings with attendees individually to see how they are trending against their goals and using their new skills to do so. When you put in a lot of time, effort and resources into creating an inspiring event, it is important to see how it was received. Take the time to create a survey to find out. Google Forms makes it really easy to set up survey questions and organize the answers. Use this feedback to help shape your event for next year! Take the time to analyze the lift in sales that comes from attendees following the months post-event. Don’t forget to include the camaraderie built during this time. Being able to offer events like this plays a big part in company culture and the way your brand may be perceived. Capitalize on that by promoting your event on social media, and remind employees (or attendees of the event) what a success it was as well as to continue the spirit of learning and sharing throughout the year. Now that you’ve read our checklist, do you need specific ideas on how to make your next event a hit using promotional items? Call us, the Promo Know-How people, and we’ll work together to make your next Sales Summit a great success! Tradeshow Season is Here: 3 Tips To Make Your Next Event a Success! Planning A Charity Event? Make It Better With Promotional Products.